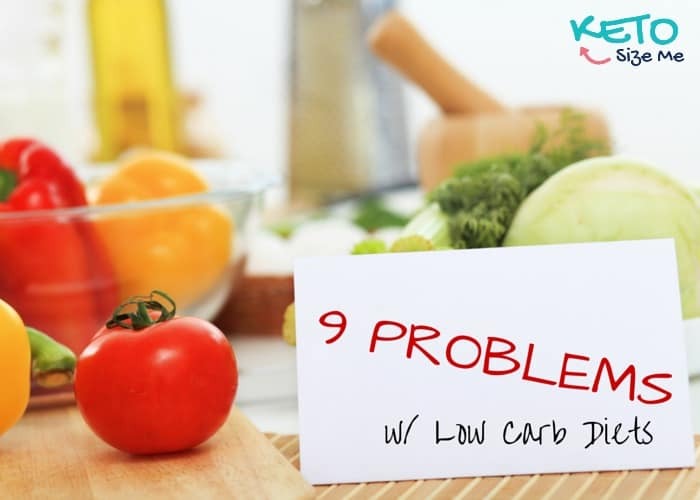 Today I’m sharing 9 Problems With Low Carb Diets because I’m worried about you! Yes, you, the person who is living the keto lifestyle. The low carb diet. The Atkins fan. Even you paleo lovers. We need to talk! Here are nine problems with low carb diets. Be prepared, this WILL change your life. 2. You will lose weight. Yep, I know this one is a toughie for so many. The first week the pounds will drop like you’ve had cosmetic surgery, and you’ll be left wondering how one person could carry so much water weight. Carbs are a great way to store water for all those times you need it, and now, well now you’re no longer bloated, and your pants fit. Not cool low carb, not cool! One day you may even want to wear one of these! O.M.G. 3. You won’t crave those donuts anymore. This has to be the worst. You know that amazing feeling when you know you shouldn’t eat that cake, cookie, candy bar, or donut? Well, thanks to the stupidness that is low carb living those cravings are practically non-existent. Now you can look at or even stare at those foods, and you don’t even care. My dad was waving a giant marshmallow in my face over the weekend, and I didn’t even want it. 4. Your friends will be jealous. This one can be pretty bad if you have lots of friends. Thankfully, I don’t. Prepare for your friends to tell you how they wish they had your willpower (ha, what they don’t know) OR that they’ve tried everything, and it’s just their genetics OR that they think you’re TOO skinny. Yep, the friendz, they be a jealous! If you have lots of friends run away from this diet now…. ruuuuuunnnnn away!! Or you can stock up on this book an pass them out to all your friends (though you may still end up friendless ((just a warning))). 6. You’ll be more creative in the kitchen. Your family has enjoyed Hamburger Helper for years and look at you changing it up! Snap out of it and stick with the family traditions. Are we suddenly Rachel Ray? I don’t think so. We need to forget about this whole low carb thing and stick to the packaged products we’ve been using for years. Homemade gluten-free, low carb pizza crust? Get outta here! 7. You will no longer pollute your body with the harmful laboratory-created chemicals. You have been using chemicals you can’t name in your meals for the last 30 years. Why stop a good thing? Why eat real whipped cream when you could buy it full of partially hydrogenated oils? Packaged foods are loaded with carbs and tons of other things your body needs to evolve into the next species of human! If it doesn’t agree with your gut now, it will… eventually. Either that or you’ll die. Survival of the fittest baby! Don’t knock it! 8. You’ll have energy and desire to work out. There is nothing worse than losing that lethargic feeling. There are songs about it I do believe. “I’ve lost, that lethargic feeling, oh that lethargic feeling…. I’ve lost that lethargic feeling now it’s gone, gone, gone oh no no no..” 😉 Why would you want to get in shape when watching other people do it on TV is so much more fun? Get back on that couch this instant! Next thing you know you’ll be listening to this guy tell you how awesome you look bending over. Gross. 9. Suddenly you’ll realize just how obsessed the world is with food. I call this one the great low-carb awakening. This is possibly the most alarming problem of all. Suddenly you’ll notice that everyone in the world is obsessed with food and eating it, everyone but you. The church pushes goldfish, the bank pushes lollipops, the teachers reward with Twinkies, and the list goes on and on. Why didn’t you notice this before? Why is everyone so freaking hungry all the time? Why does the world think food is a reward and not fuel for the body? Why are we constantly bombarded with images of food everywhere we go? Make it stop! Make it all stop! Close your eyes now and eat those Twinkies and all the truth you see will melt away. I have looked at many keto websites. I like yours the best. I love your recipes and your witty comments. I have a question? How do I carbload? Without gaining? Side note ...I'm allergic to eggs. Hey Beverly, can I ask why you are interested in carb loading? What are you trying to do? I may be able to help you if I know what your goals are. Thanks! From what I've read, it's required once a week to spark weight loss. ? ?